Four new heroes join in the party at The Red Dragon Inn. Will Joran's tricks, Lizwick's equipment, Sera's training or Zakhan's drunken antics survive the night? Buy a round and find out! 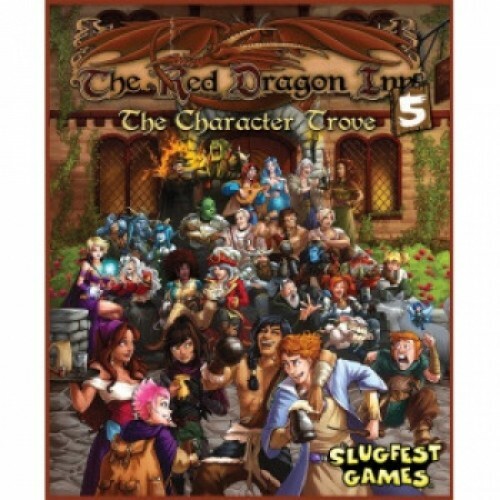 The Red Dragon Inn: 5 - The Character Trove is a stand-alone game that expands on The Red Dragon Inn series of games. In addition to new characters, RDI5 comes in a greatly expanded box, new tokens and bits with updated graphics and a replacement player mat for each previously released character. RDI5 will hold everything released so far, and have room to grow!